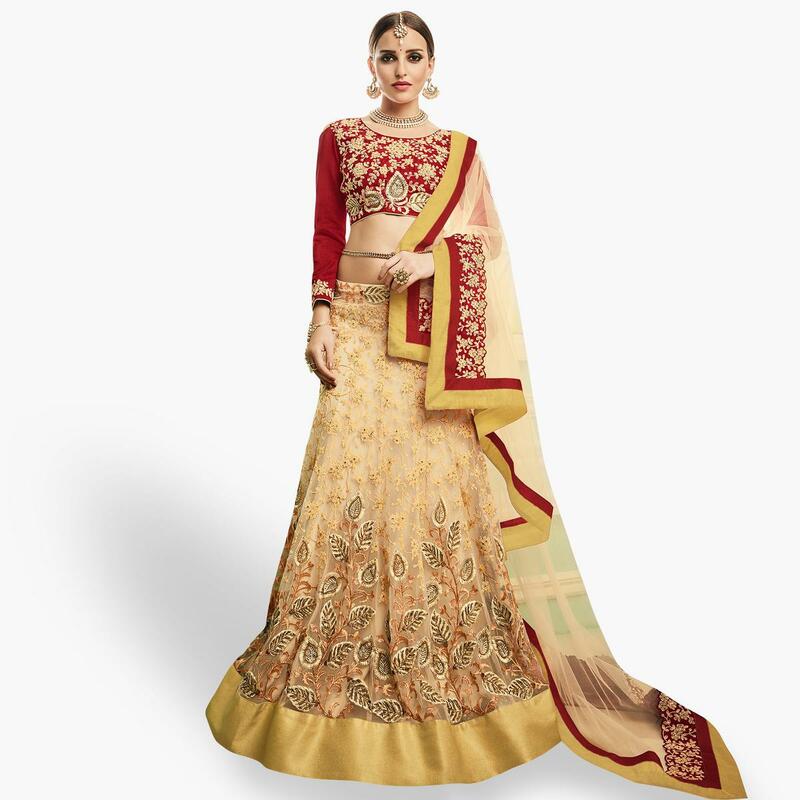 This stunning beige - red dull net lehenga choli is adding the appealing glamorous displaying the feel of cute and graceful. 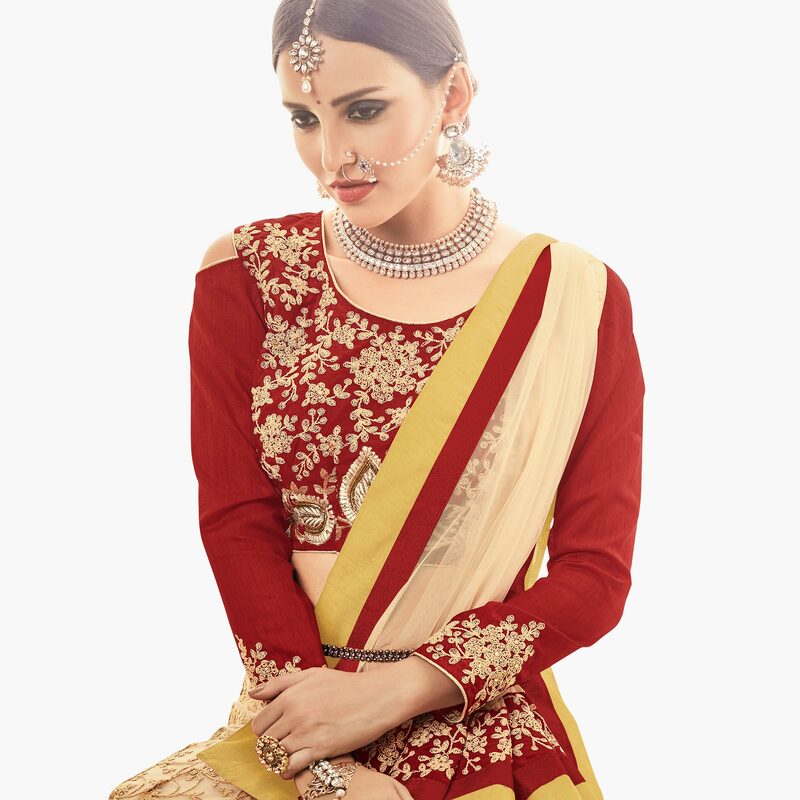 The ethnic embroidered, lace, resham and zari work within the apparel adds a sign of beauty statement with a look. Available with embroidered slub silk choli fabric, heavy dull santoon with can can net lining and dull net dupatta with lace work. Perfect for traditional functions, festivals, wedding functions or engagement ceremonies. Pair it with traditional accessories to make your look more beautiful.